Family owned for over 30 years, we believe everyone deserves to drive a nicer, newer vehicle! 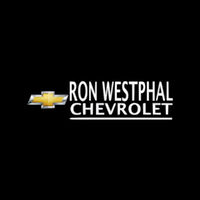 We stock a large selection of new Chevrolet vehicles along with Certified Pre-Owned vehicles and used vehicles for EVERY budget! Also, we service what we sell with our Super Service & Parts Department that you’re guaranteed to LOVE! Why don’t you visit us today? We believe the experience of buying a new vehicle should be a pleasant and exciting one and pride ourselves with excellent customer service.